My name is Etemi, and I am addicted to buying fabric remnants. I guess the first step on the road to healing is admitting that you have a problem, right? So there is this shop where I buy fabric most of the time, called Rolls and Rems, and they have this box right in front of the door. It’s an evil trap, and works brilliantly, as for the second time this Saturday, I went in to buy something specific, couldn’t find it, but came home with two pieces of remnants. A few weeks ago I spent my last couple of pounds on the silky fabric from the previous post and about 2 metres of white crepe. I’m not sure what works on me, not having to make the big decision of getting some fabric cut, or that it’s an exclusive offer as it is cheaper than normally or that it’s the last chance to buy it, but it sure does, every single time. So here is the progress on the printed silk from the previous post that I scored for about £5. First I wanted to make a maxi dress out of it, but I wear maxi dresses for comfort, which could hardly be achieved with this material and print. So I looked further and found this Issa dress. In order to make something similar, I started looking for tutorials on how to make a proper kimono, and found this image below. 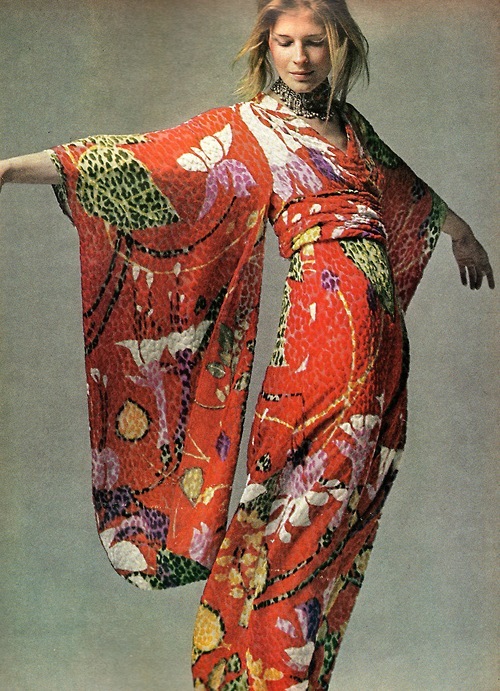 It’s a photo from Vogue, July 1970 of Candice Bergen in a cut panne velvet kimono dress designed by Bill Blass.“A dress for utterly luxurious evenings at home, wrapped with a high obi sash, long sleeves slipping, dipping from the arm like folding wings,” was Vogue’s description. I like the Issa dress, but this is just stunning. 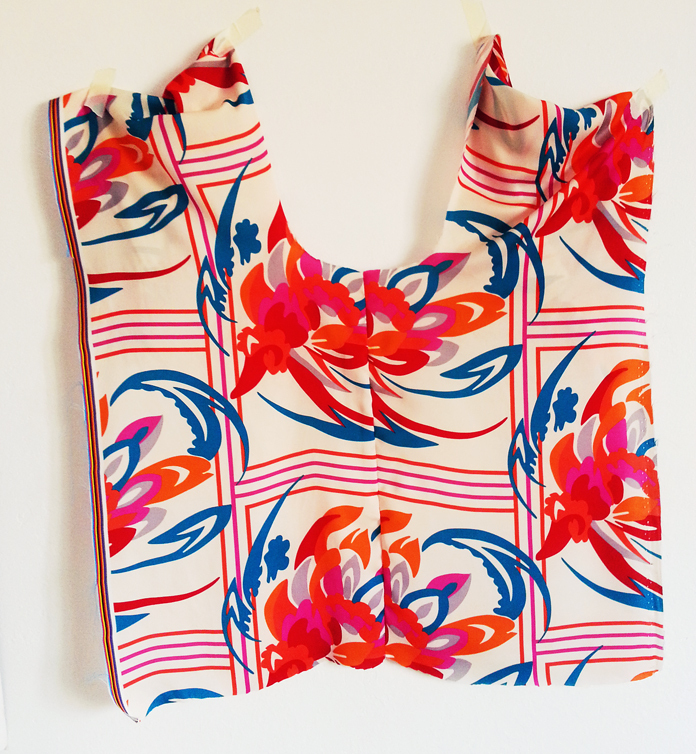 I found the Kimono drafting instructions I needed -and would highly recommend. 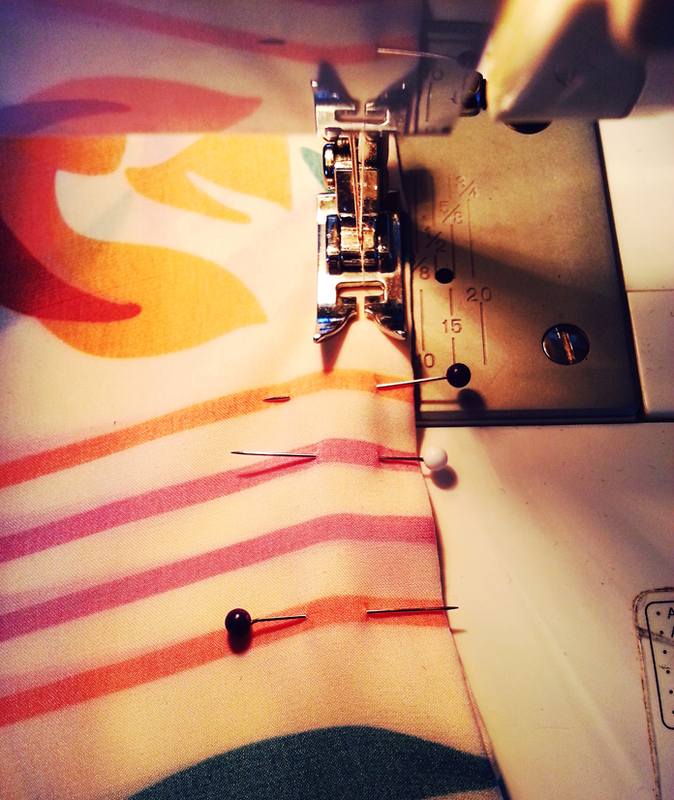 on Taeliac’s site, and off I went to cut the fabric. So the top is going to look like a kimono, with the sleeves and standing collar, and it will end in a knee length skirt with a non-removable belt just under the bust. I am not sure if it is real silk, since I did not buy it off the roll, but the fabric is a nightmare to cut and pin and sew. Since it slides easily, I pinned every 2 centimetres at first, but if a pin is not sharp enough, it tends to pull the thread from it, you see. I’ve only realized that I could have matched the pattern while cutting it out, after I’ve sewn it together. I’ve attempted to match it afterwards, but next time the back pieces will be cut from one piece for sure. After wrestling with the dress for about 4 hours, and unpicking two 40 cm long seams 7(!!!) times, I can’t even be bothered any more, when I see a loose thread from the fabric. Since I don’t have a pattern for the bottom half of the skirt I am pretty much improvising on the go, and luckily it’s been working (slowly) so far. I’m doing French seams wherever I can, and hand-stitched the collar, which was actually a lot more fun than I thought it would be. I’m just about to attach the back panel of the skirt, then I need to finish up the sleeves, insert the invisible zip, sew the side seams and hem the fabulously-looking-but-where-will-it-be-worn dress. It really is almost finished. Oh that would be so interesting, the dress for tango! Although I’m not sure what they look like, I have the flamenco dress in mind…I have a few vintage kimonos from the 50s too, and I’ve been trying to figure out what to do with them, but isn’t it scary? Cutting into such a precious piece of fabric.